River Plate will play Al Ain in the Club World Cup semi-finals after the Emirati outfit beat ES Tunis 3-0 on Saturday. 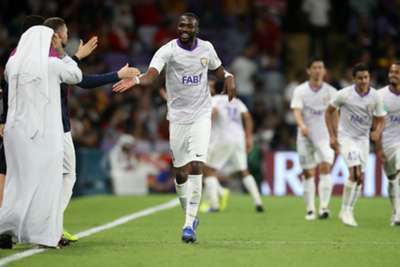 Al Ain had to come from three goals down to eventually progress on penalties in their tournament opener against Team Wellington on Wednesday. But they were the better side throughout against the CAF Champions League winners, progressing thanks to goals from Mohamed Ahmad, Hussein Elshahat and Bandar Al Ahbabi. Ahmad put his side in front after only two minutes, leaping well to head home from a corner. That lead was doubled 14 minutes later, when the lively Elshahat turned in the box and curled a neat finish beyond ES Tunis keeper Moez Ben Cherifia. Al Ahbabi completed the scoring on the hour mark, tapping in from six yards after getting on the end of a Caio cutback. Tempers flared in the closing stages when an Elshahat challenge drew an angry reaction from the ES Tunis players. His holding up of three fingers to signify the scoreline did little to appease the opposition. The semi-final takes place on Tuesday, with Real Madrid set to face Kashima Antlers a day later.